In the near future I might author my own rebuttal to Gov. 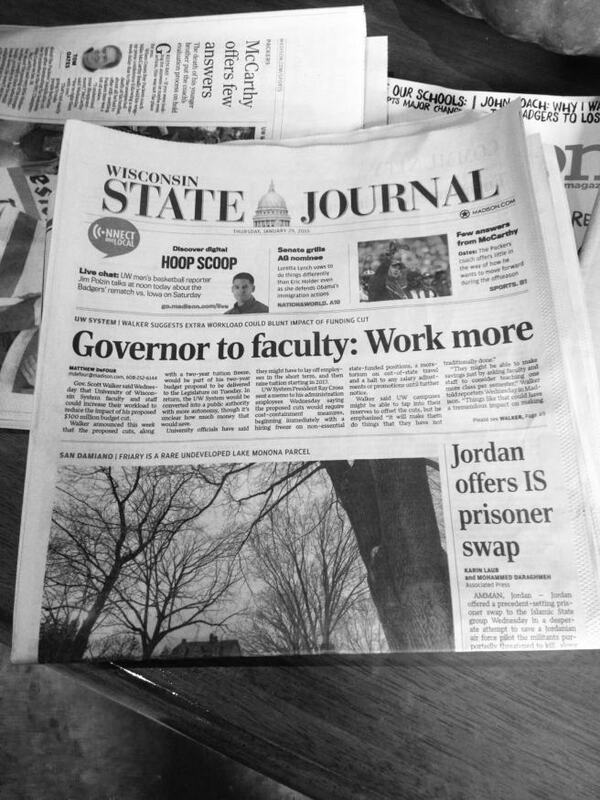 Walker’s plans to scuttle Wisconsin’s higher education. Several high-ranking Republican Conservatives simply despise higher education. More specifically, they seem to be against state-sponsored education, against the public support of education. Listening their comments on C-SPAN and reading essays on their individual websites, one can only come away with the sentiment these GOP members would be more than happy to divest the Federal and state governments of the responsibility of educating people and turn the education of our populace over to for-profit schools and religious organizations. Some states are already using the voucher system to provide public monies to religious schools in clear violation of the separation of Church and State. More to the point, Gov. Walker and his compatriots in the GOP are seeking to break-down state educational systems using “state rights” as a rallying cry yet what their attempts are truly attempting to do is push more federal money into for-profit universities. These for-profit universities are responsible for the greatest portion of student loan indebtedness and lack of results. There are a host of other issues Scott Walker seems too mentally impaired to understand. I’ll take a stab at addressing those issues in my own response. Cheers! February 3, 2015 in Geography.